Just in time for the holiday season, it’s time to take a look at a classic. Since its initial release in 1966, Chuck Jones’ How the Grinch Stole Christmas has become as much a staple of Christmas as wreaths and eggnog. The story of Dr. Seuss’ loveable grump and his ill-fated mission to steal Christmas from the Whos is funny, charming, creepy, and dark. But, like any present, underneath all that beautiful paper is a heartwarming message that lasts throughout the season. Grab your ugly sweaters and ramshackle sleigh and hold tight. 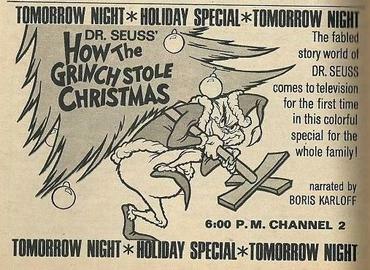 This is Dr. Seuss’ How the Grinch Stole Christmas. It’s safe to say that some of the first books you read as children were written by Dr. Seuss. Green Eggs and Ham and The Cat in the Hat were some of my favorites. And How the Grinch Stole Christmas is still near the top of the list for most people. Why? 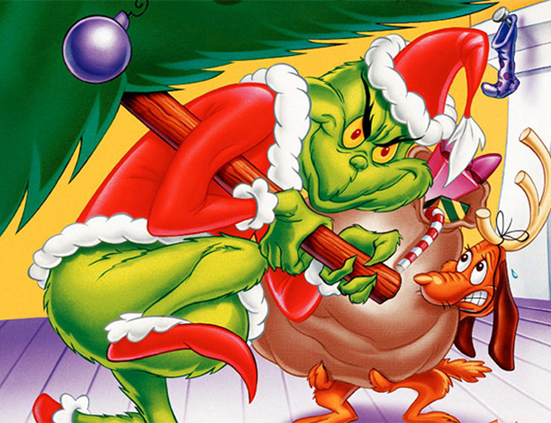 Like good Disney villains, the Grinch is a character we love to hate but also sympathize with (sometimes). Let’s face it. You all know this story from front to back. 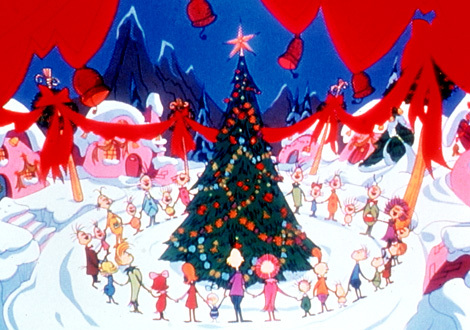 On Christmas Eve, the Grinch grouches over his hatred of Christmas, when the Whos down in Whoville celebrate with noisy games and loud caroling. Having put up with it for 53 years, the old grump decides to take matters into his own hands and put an end to his misery. How? By stealing Christmas, of course! Thus, he dons his Santa Suit and dresses his dog Max like a reindeer. He takes a ramshackle sleigh and old bags and races down the mountain to Whoville. 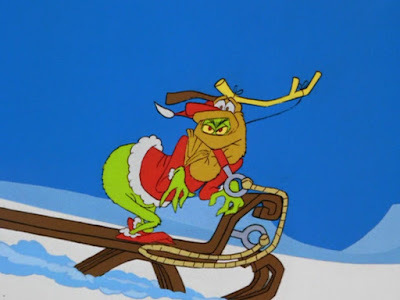 Slinking and slithering about, the Grinch steals all their treats, gifts, and decorations, and takes them to Mount Crumpit to Dump It (his loaded sleigh, that is!). Only after realizing his plan does not work does the Grinch recognize the true error of his ways. In a strange twist, he ends up spreading the joy of Christmas rather than destroying it. Now, on the surface, this is a carbon copy of other stories like A Christmas Carol. The old grump tries to cause misery only to rediscover his childish joy. The Grinch is a Scrooge of sorts, but his adventures are very funny and do hold some truth…and that is where the magic of Seuss’ story lies. Sometimes, materialism always seems to be at the heart of Christmas, unfortunately. Instead of focusing on gift-wrapping and treats, Seuss shows how the true spirit of the holiday is found in love and camaraderie, not the number of presents we can buy. That’s a very deep and inspiring message for children and a much-needed message for adults if you ask me. Do you like the Looney Tunes or Tom and Jerry? If the answer is “yes,” then you know the genius that is Chuck Jones. His films and short movies have a certain panache and charm, and that’s all thanks to his development of incredible character animation. Zany expressions, hilarious scowls, and surrealistic movements are just a few trademarks of his unique, large ensemble of rabbits, ducks, cats, and Whos. In my opinion, How the Grinch Stole Christmas is a wonderful example of his genius. Jones provides a showcase of well-paced comedy and delightful menace in the Grinch, who might be one of the scariest and somehow funniest characters to appear on TV. And his scenes with his adorable dog Max are crazy, emotional, and over-the-top… Come on, how many times have you laughed at that first sleigh ride down the Mountain? 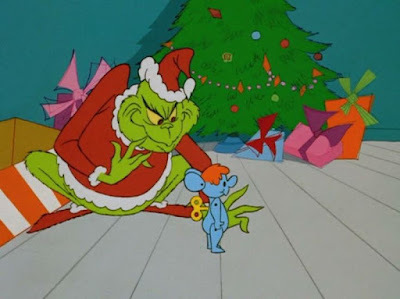 Like future animator Tim Burton, Jones brought a wonderfully sinister edge to a Dr. Seuss classic and the Christmas season altogether, so wonderful that the 2000 version even played off the surrealism. (Face it…some of you actually liked the version with Jim Carrey!). 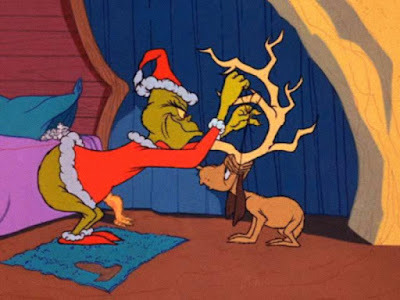 Remaining true to the original book, How the Grinch Stole Christmas is told entirely through rhyme, as narrated by monster master Boris Karloff. He brings just the right mix of nastiness, charm, and (shockingly) joy to the story. Plus, his double performance as the Grinch is very fun and creepy…just as a Karloff character should be. 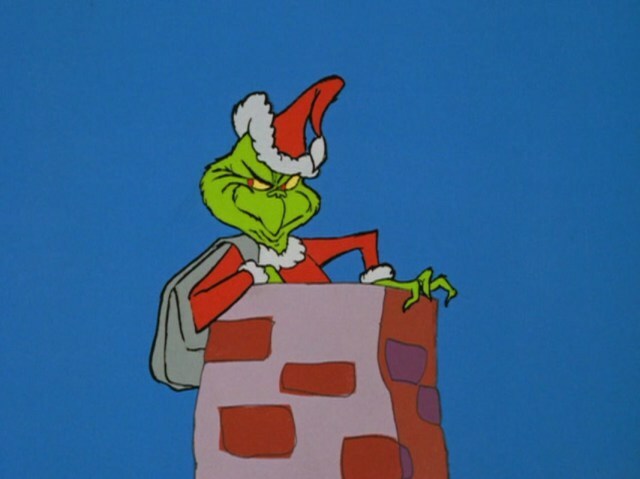 Whenever you think of “The Grinch,” you will probably think of this version first. There is one exception to the book, and those are the songs. “Welcome Christmas” and “Trim Up the Tree” are delightful little carols performed by a Who choir, whose voices are so joyous you can’t help but sing along with them every time. Just listen to these songs again and tell me you don’t feel the Christmas spirit. 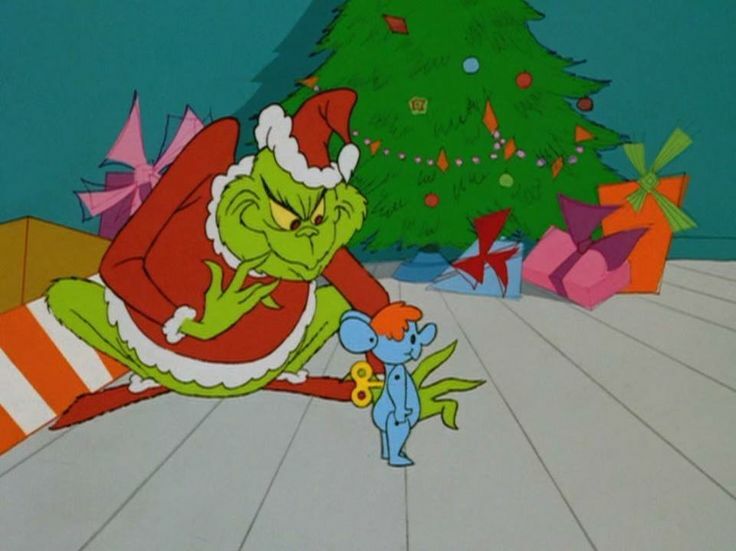 And, of course, there’s the classic “You’re A Mean One, Mr. Grinch,” performed by Disney legend Thurl Ravenscroft. Originally uncredited, Ravenscroft adds a hilarious and upbeat vaudeville lyrical stupor. Who else could you imagine singing this besides one of the Haunted Mansion ghosts? This song, like the movie, is a staple of Christmas, and it’s no wonder. Dr. Seuss himself wrote the lyrics, and they are absolutely disgusting and hilarious at once…as any good villain song should be. What else can I say? How the Grinch Stole Christmas is still a Christmas classic in my house. I’ve owned the 90s VHS release and currently own the 50th anniversary DVD. I’ve nearly burned out recordings from Cartoon Network. Chuck Jones was and always will be a master of animation, and the music and memories will always be present in my heart. I adore this little holiday film. It’s short and sweet, with a great, timeless message. How the Grinch Stole Christmas! is the property of Dr. Seuss (1957) and Chuck Jones (1966). DVD and Blu-Ray editions are available on Amazon.com. Dr. Seuss' How the Grinch Christmas is available wherever books are sold.